At Walton's TV and Appliance, located at 323 South Anderson Street, Tullahoma, TN 37388, you will find personal customer service, competitive pricing and top name brands. We proudly serve the following cities: Tullahoma, Manchester, Estill Springs, Winchester, Normandy, Lynchburg, Hillsboro, and the surrounding areas. Come down and meet our expert sales staff who can help you make a selection from our wide range of superb appliances, such as front-load or top-load laundry pairs, side-by-side or bottom-mount refrigerators, freezers, ovens, ranges, dishwashers, and microwave ovens. 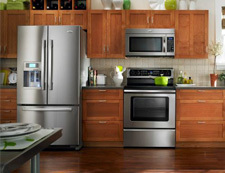 We carry quality brands like: Whirlpool, Frigidaire, Samsung, Estate, Maytag, and Speed Queen to meet your household needs. You're invited to our large showroom that is filled with the latest home electronics. 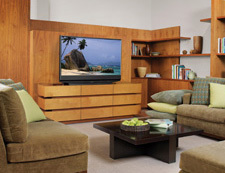 Let us help you find the LCD TV, plasma TV, home theater system, and DVD player for your home. 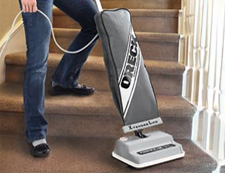 We also carry the Oreck Vacuum, the original lightweight vacuum cleaner. Planning an outdoor dinner party? We have grills for every patio. With our Holland Grills, you are sure to find the right model for your grilling needs. Along with free local delivery, we have several financing options that will allow you to turn your design dreams into a reality. Stop by and save today! Walton's TV and Appliance is locally-owned and Tullahoma's only family-owned Full Service TV and Appliance store. We have proudly served Tullahoma and surrounding area since 1957. 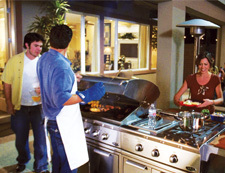 We have a wide selection of Appliances, Electronics, Outdoor Grills, and Vacuum Cleaners that fit every budget and taste. We invite you to our showroom filled with great finds and deals. You're guaranteed to find the best value and unbeatable service when shopping with Walton's! Whether you are looking for an entire kitchen package, a High-Definition TV, or that perfect outdoor grill, we have what you are looking for and our trained staff will assist you every step of the way. Need financing? We have multiple financing options that can turn your dreams into a reality. Walton's carries the brands that you trust at the lowest price available. Stop by and save today! Walton's TV and Appliance All Rights Reserved.